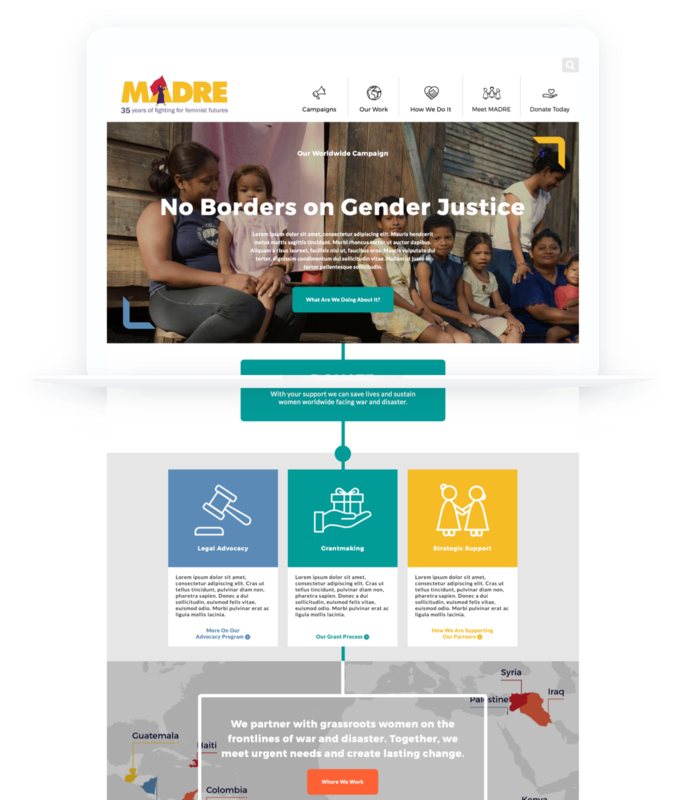 MADRE empowers women champions of social justice. MADRE's network of grassroots partners works in communities around the world to stand up to violence against women, fight for climate justice, and respond to natural disasters. However, MADRE's old website didn't tell that story or engage new users. We built a site to connect new supporters to MADRE's work. We created an architecture that shows the connections between MADRE's core mission and the grassroots organizations doing the work in their communities. Our content strategist curated MADRE's wealth of content to create pathways to engagement and demonstrate the depth and breadth of MADRE's work. We rethought, redesigned and rebuilt from the ground up. MADRE's partners have supplied striking images, showing the people MADRE serves and the places they work. 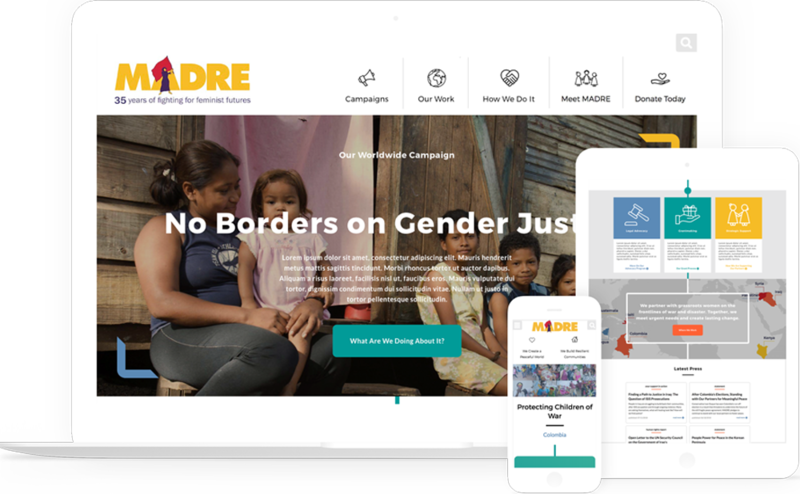 We highlight MADRE's images throughout the site, using them to drive engagement and calls to action. MADRE has an abundance of content; our challenge was to present it beautifully and effectively. We built their site in Drupal, and leveraged a set of modular site components called Paragraphs. Building the site with Paragraphs allowed us to create a visual library of easy-to-configure page elements that allows MADRE's communications team to create new content and new campaigns within the established visual language of the site, all without code. We connect users to powerful stories. How can Giant Rabbit help you? 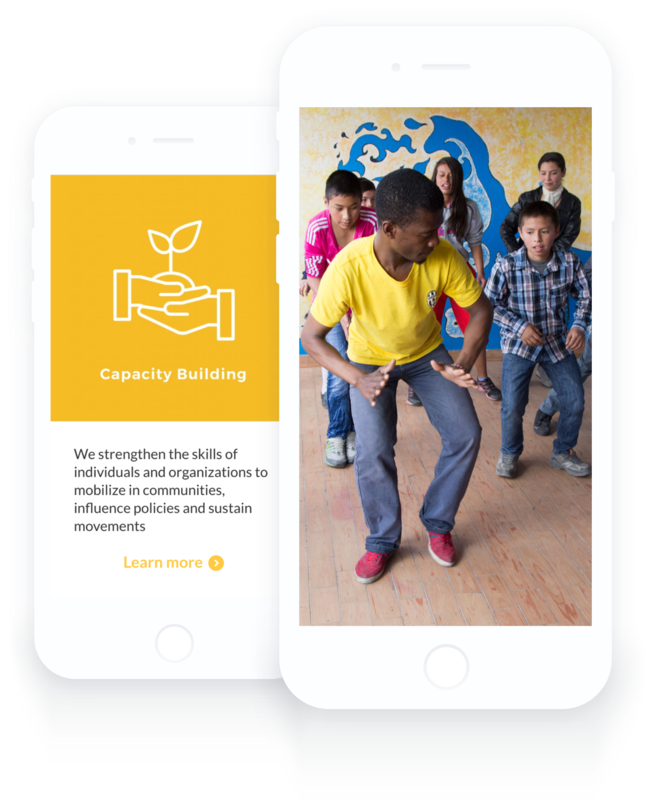 Building capacity for the future. Copyright @ 2018 by Giant Rabbit. Artwork by R. Black.